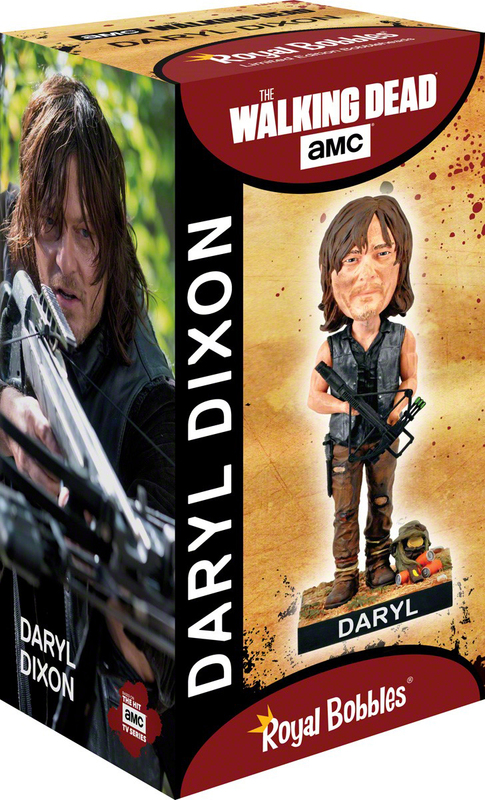 This intricately detailed bobblehead portrays a lifelike image of The Walking Dead’s iconic Daryl Dixon with his famous crossbow, leather vest with wings, his backpack, cans of Orange soda, and more. Each highly collectible bobblehead stands at over 8” tall and is made from high-quality heavyweight polyresin. Officially Licensed by AMC’s The Walking Dead. Collect the entire series that includes Daryl Dixon, Negan, Rick Grimes, Carol, Glenn, Michonne, Abraham, and Carl Grimes!